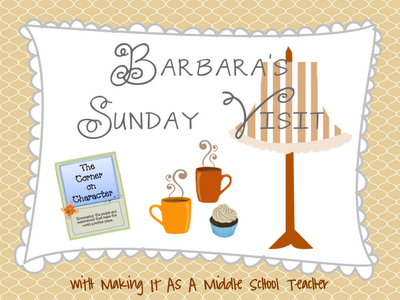 Making It As A Middle School Teacher: Barbara's Sunday Visit for October ~ Boo Who? Barbara's Sunday Visit for October ~ Boo Who? Happy Sunday ladies and gentlemen! This one will definitely make you go, "hmmmm," and think about how we as adults behave! Today's sportsmanship reflections are inspired by a recent Friday Night Lights experience. Here's what happened: A sophomore defensive player on the Varsity team lost his helmet during a block on the 50 yard line. He got himself up and kept on running to keep the opposing team from scoring a touchdown. He finally caught up and tackled the player with the ball around the 20 yard line. While the crowd was applauding the defensive prowess and perseverance of this young athlete, the official threw a flag and charged him with a personal foul. The fans' cheers quickly erupted into a loud, shrill booooooooo. Turns out that once an athlete has lost a helmet, he's supposed to be done on that play; safety first, after all. I'm not really sure whether they were booing the ref, the rule, or the player, but I suspect it was the former. So today I'm wondering when, if at all, we're justified in booing at a sporting event. Do we boo when we disagree with a call? Do we boo when the other team makes a good play? Or when our team does something we don't like? Is it acceptable to boo for penalties? If so, are we booing the ref and his call or the players and their choices? Here's something to think about: What are we teaching our children about sporting-event etiquette these days? I was taught by my parents, for example, not to boo. Ever. Period. Under any circumstances. In fact, I was told at a very young age that booing shows poor sportsmanship. It's just not something we did. Maybe times and expectations are changing because I was also taught to clean up after myself and throw my trash away, yet it seems a fairly common practice to leave one's trash in the stands. What about the School Song? Do we stand up and remove our hats out of respect for our School Song? What about for the other team's School Song? If citizenship is about making wherever we go better because we're there, is it time for us to rethink the way we act at sporting events? Didn't I tell you! I forget to mention you might need a tissue or two. Time to think twice about the influence our behaviors have on everyone around us and our future leaders. 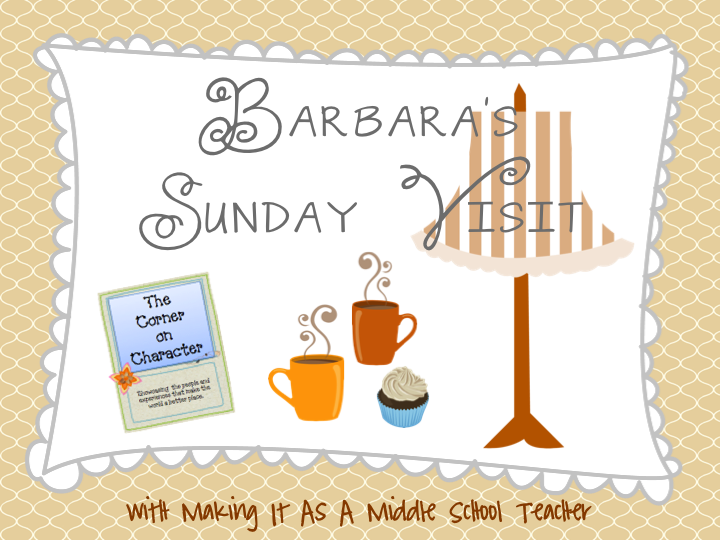 Thanks as always, Barbara, for a great post! I can't wait to see what you'll have for us each month! It's I who should be thanking you . . .that beautiful graphic is the SWEETEST thing!! So thoughtful. I really do enJOY coming by monthly because it gives me a chance to think about an older audience. I value your friendship and appreciate our partnership. It is my hope when I enroll my children in sports activities that they learn 2 things: fundamentals of the sport and good sportsmanship. I would rather watch my kids lose every game, but encourage their teammates, listen to their coaches, and offer a hand to any player (even the opposing team) because IMO those character traits are going to take them a lot further in life than being a good athlete. (Along with the "no booing", I also teach my kids to never blame the referees for "losing" their game. Math Game Monday ~ Fraction Fiesta! Sunday Samplings is Loaded This Week! Fun Friday: Review, Math Nerd & New Blog!